The capital city of Malaysia, Kuala Lumpur is a diverse area that includes Tamil, Chinese, Malay, and indigenous inhabitants. 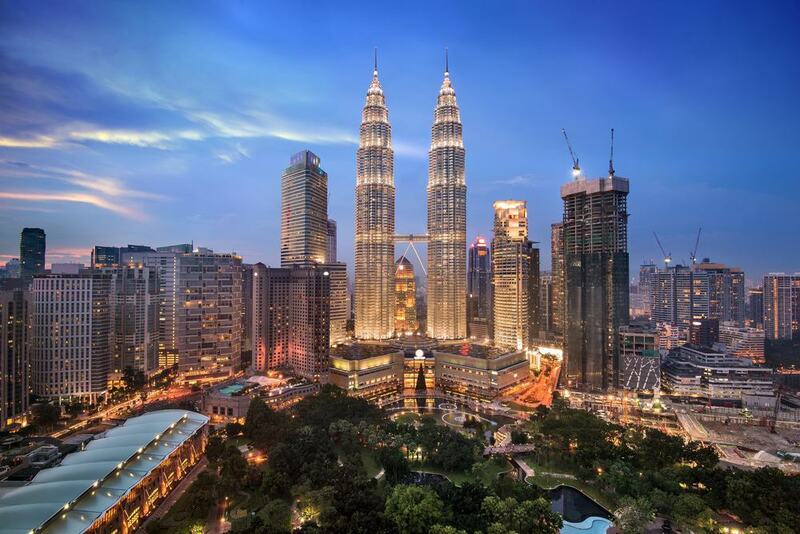 The most populous city in the nation, Kuala Lumpur is spread over 200 square kilometers and now merges with neighboring suburbs to create a hub of activity and commerce. 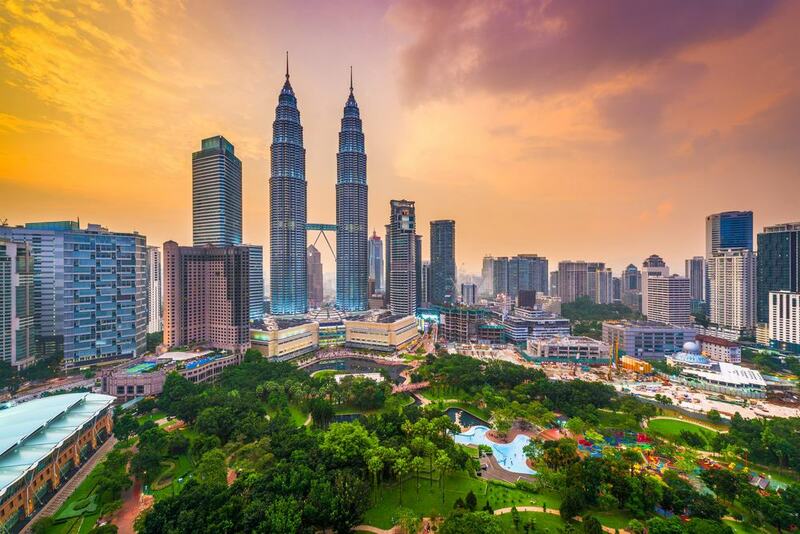 Tourism is a central focus in Kuala Lumpur and as such there are a huge variety of attractions for visitors to choose from, ranging from the more traditional to the more modern depending on your tastes. There are temples and mosques to reflect the diversity of the city, spectacular futuristic towers and skyscrapers, local markets and street food, and just about anything else you can imagine. Whether you enjoy spending an afternoon wandering in a leafy park, or shopping in a multi-story mega mall, Kuala Lumpur doesn’t disappoint with something to suit all ages and budgets. Let’s have a look at the best things to do in Kuala Lumpur! One of the most iconic sights in the world, the PETRONAS Towers, or the PETRONAS Twin Towers considering the fact that there are two of them, are the tallest twin towers in the world. The towers feature postmodern architecture and style and also feature Islamic designs due to the Muslim majority in Malaysia. 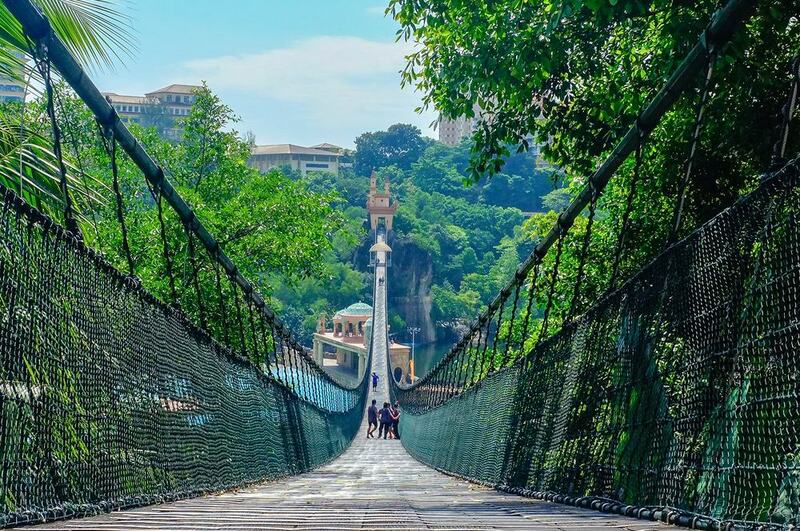 Visitors flock here for the walk over the sky bridge that joins the two towers together and you can admire the breathtaking views that stretch across the city of Kuala Lumpur. 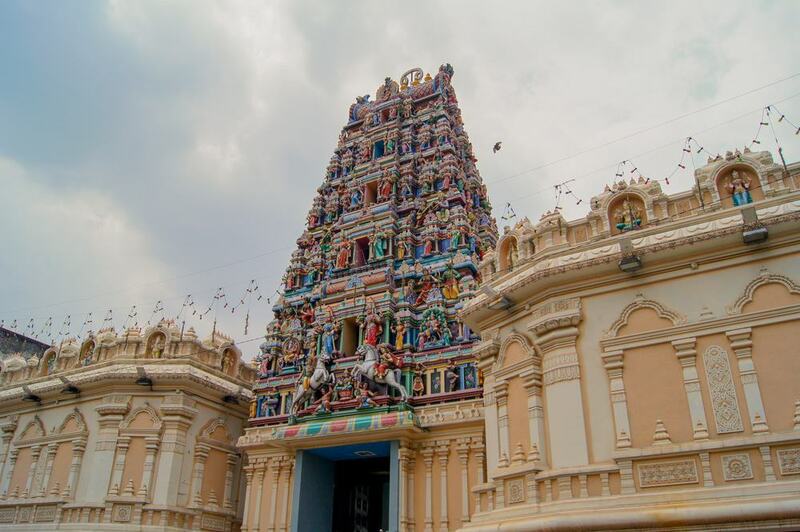 Famous for being the oldest Hindu temple in all of Kuala Lumpur having been built in the nineteenth century, Sri Mahamariamman Temple is well worth a visit for those wanting to learn about the diverse cultures and religions that make up this city. The temple is easily recognizable as you approach as it has a vibrant and colorful façade featuring a range of Hindu deities depicting famous legends. The site is a working temple and as such a place of worship for the local Tamil community but visitors can also explore the grounds and wonder at the architecture and atmosphere. Nasi Kandar, meaning ‘mixed rice’, is a cornerstone of Malaysian cuisine and customers are given a plate of plain rice and can choose a variety of toppings and sauces to accompany it. 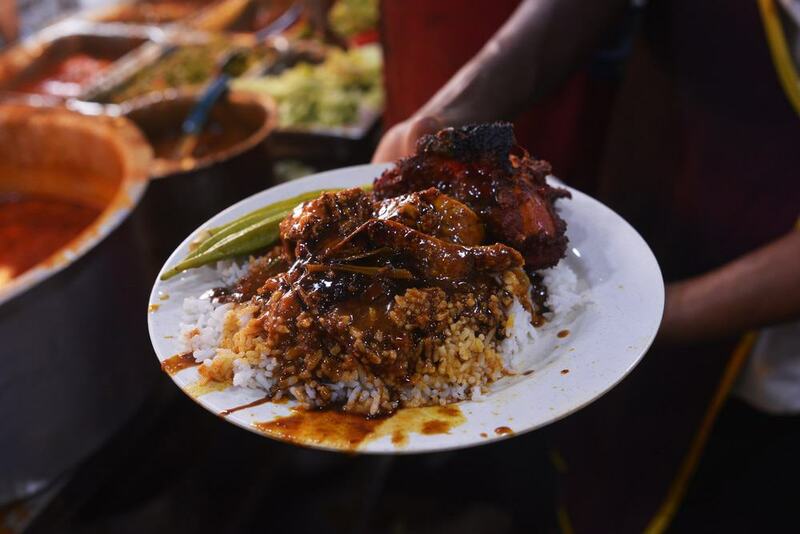 Nasi Kandar is based on Tamil dishes due to the high number of South Indian immigrants and the sauces and gravies are heavy on curry powder and chili. Common Nasi Kandar dishes include curried meat or seafood as well as a vegetable component such as okra or Asian cabbage. 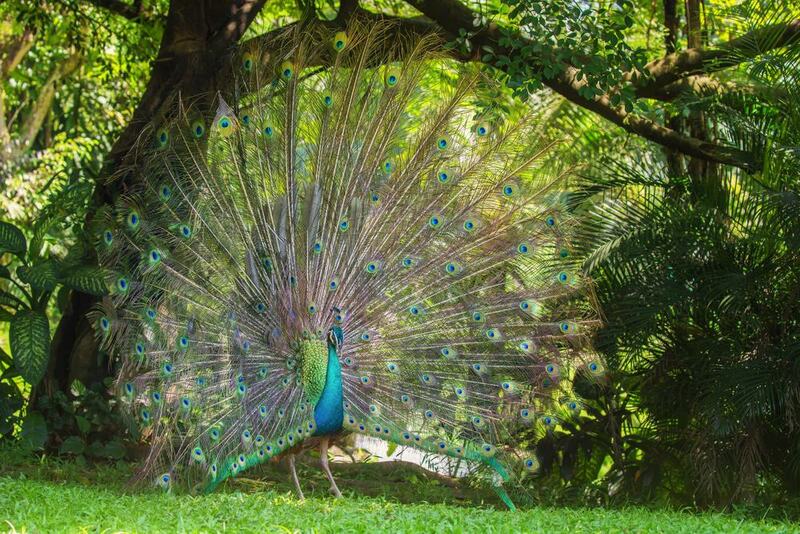 Spanning over 20 acres this enormous aviary is home to over 3000 birds and the focus is on promoting local species to visitors, although there are also some imported birds housed in the park. Visitors can enjoy learning about the local flora and fauna and bird watch in one of the largest public aviaries in the world. The park is also a well respected scientific location and there is an emphasis on conservation and education, and there are breeding programs and scientific studies of the birds in their natural habitat. Located near the famous Lake Gardens, the National Museum is an architectural wonder in itself as it is fashioned in the shape of a traditional house and includes decorations that are a mixture of contemporary and more traditional designs. 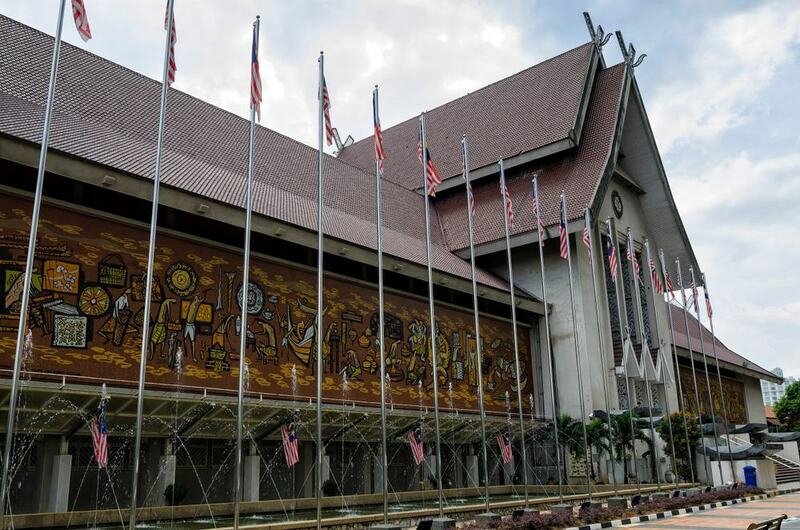 Visit the National Museum to learn all about the history and culture of Malaysia and take in the replicas of Malay houses, wedding scenes, and hunting displays. There are also local instruments and national costumes on show. As well as the permanent exhibitions at the museum there are also temporary exhibits that change throughout the year and are located in the Central Hall. A little way out of the city center in the suburb of Petaling Jaya, Sunway Lagoon Theme Park has offered fun for all the family since it opened in 1997. Their slogan is ‘Come Feel the Fun’ and visitors to the area can experience not just a theme park but also a water park that is located on the same site, and a wildlife and ‘extreme’ park with wilder rides for more adventurous types. The complex includes theme park rides, interactive games, wave and surf pools, and even a zoo. The park also features dining and shopping options for those who want to grab some souvenirs. Touted not just as a simple aquarium but as an ‘oceanarium’ housed in the depths of the Kuala Lumpur Convention Centre, Aquaria KLCC spans over 60,000 square feet and features a 300 foot tunnel in the center which allows visitors to explore the depths up close as they are surrounded on three sides by water. The experience is set up as a land to sea journey and aims to educate visitors on Malaysian aquatic life, from fresh water rivers and swamps, to the vast ocean. 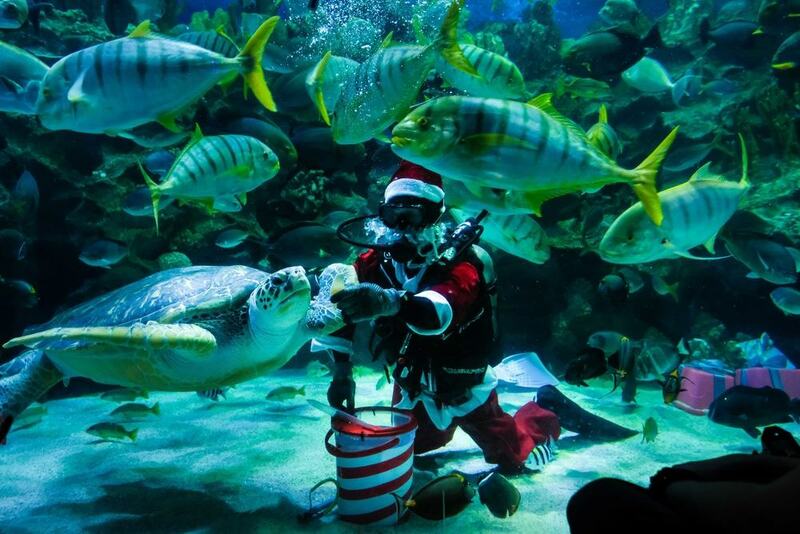 There are also educational and interactive exhibits that emphasize the importance of conservation and Aquaria KLCC has over 5,000 aquatic creatures for visitors to enjoy. 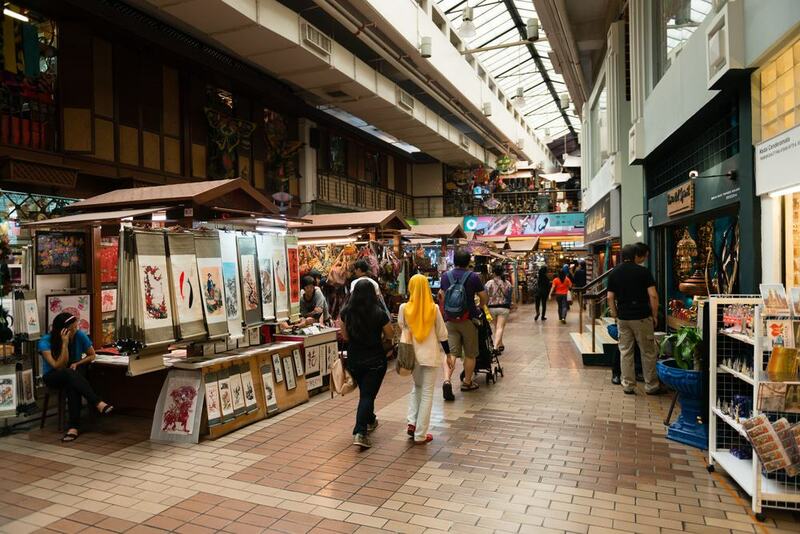 The Central Market in Kuala Lumpur, also known as Pasar Seni, is a firm location on the tourist map and was developed from a former wet market selling fruit, vegetables, and meat. 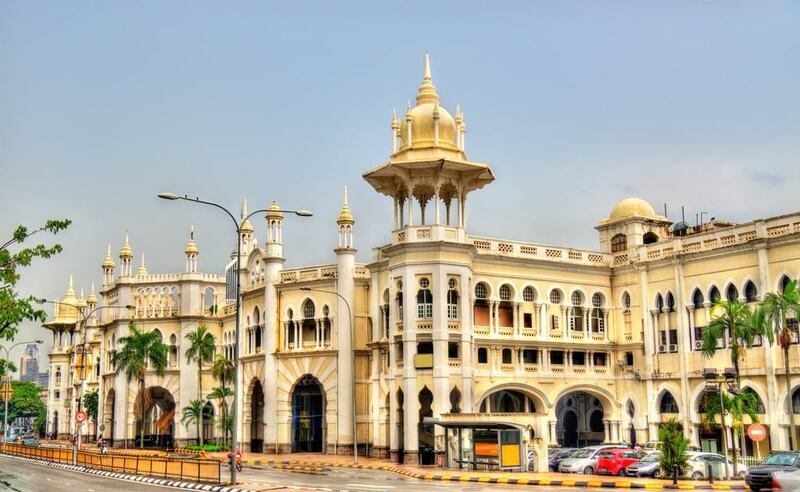 Nowadays the area has been updated and includes different sections to reflect the various influences and ethnic backgrounds present in Malaysia such as Malay, Indian, and Chinese areas selling local products like souvenirs and arts and crafts. On the upper floor there is also a food court selling local delicacies and the area in front of the market is known for street performers and musical shows. No longer Kuala Lumpur’s main railway station, having been usurped by the more modern KL Sentral, come to Kuala Lumpur Railway Station to see a railway museum housed inside an example of classic British and Asian architecture. Built during the British colonial period and completed in 1886, the museum is a mix of European and Asian styles and now features antique exhibits in the Great Hall such as fire engines and steam trains. There are also models and replicas of trains and carriages and visitors can stroll around the platforms and learn about the history of the locomotive in Malaysia. Food courts located within malls are plentiful in Kuala Lumpur but Hutong, housed inside Lot 10 Mall, is said to be one of the best in the business. The food court is made up of local street vendors who were selected and asked to sell their dishes at Hutong and as such the food is authentic and delicious, and more importantly is all housed under one roof so you don’t have to go pounding the pavements in search of a feast. 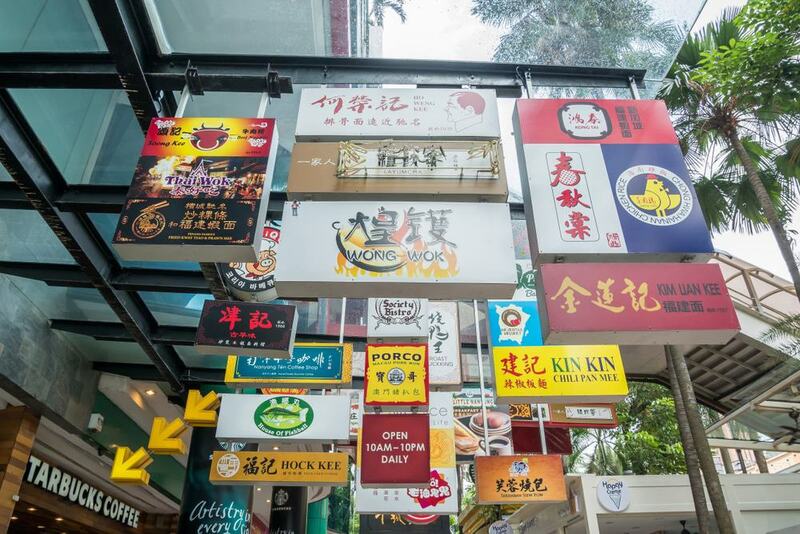 The food court is a great place for newcomers to Malaysian cuisine to visit as it features all of the most famous and moreish local dishes such as oyster omelets, fried noodles and noodles soups, dumplings, meatballs, and roasted meats. There is a top rated ‘Off The Eaten Track’ Street Food Tour which you can book here. Something of a hidden gem and strangely under-visited, Royal Selangor Visitor Centre showcases the history, factory, and products of Royal Selangor since they began production in 1885. 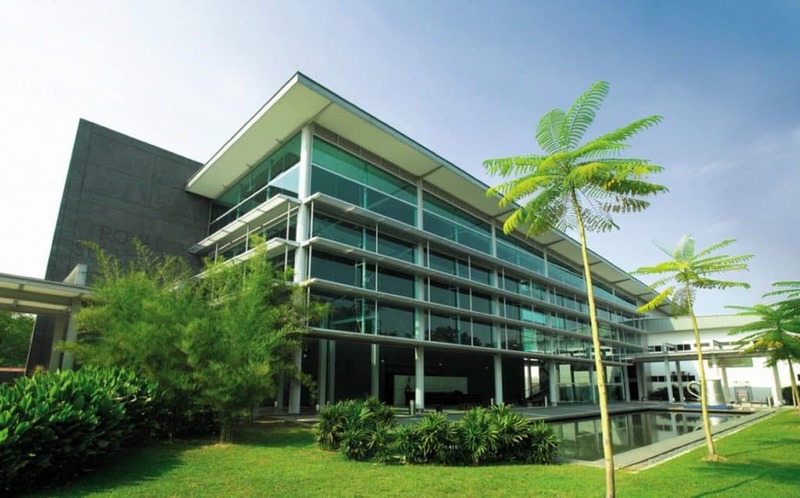 There are free guided tours that include a museum section with early samples of their work, historical photographs, and even period garb for visitors to try on, followed by a visit to the working Royal Selangor factory. You can even try your hand at fashioning some of the pewter pieces and there is a gift shop attached should you want to stock up on pewter jewelry and ornaments. Also known as Menara Kuala Lumpur, this tower stands at 335 meters and has an observation deck that offers stunning panoramic views of the city. The towers serves many functions as well as acting as an observation tower for the sighting of the moon to mark the beginning of the Muslim holy month of Ramadan, and there is even an annual race to the top to promote health and fitness. The visitor deck is the highest point in the city that is open to the public and it takes fifty-four seconds for the lifts to ascend to the site. Popular times to visit are around dusk to observe night falling across the city. 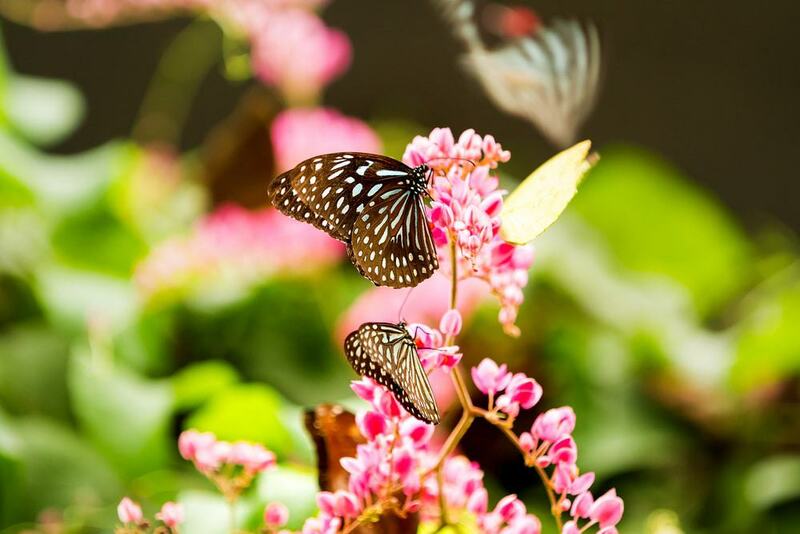 For a slightly whimsical day out head to Kuala Lumpur Butterfly Park and marvel at the hundreds of different colorful butterflies in residence, over 120 species in fact. The park itself is modeled on a jungle forest experience and features walkways, footpaths, lakes, ponds, and gazebos, and there is an abundance of local flora and fauna to discover in addition to the butterflies themselves. There are educational explanations such as breeding program and life cycle information and visitors to the park can slow down and enjoy the quieter and calmer pace as they take in the local wildlife. 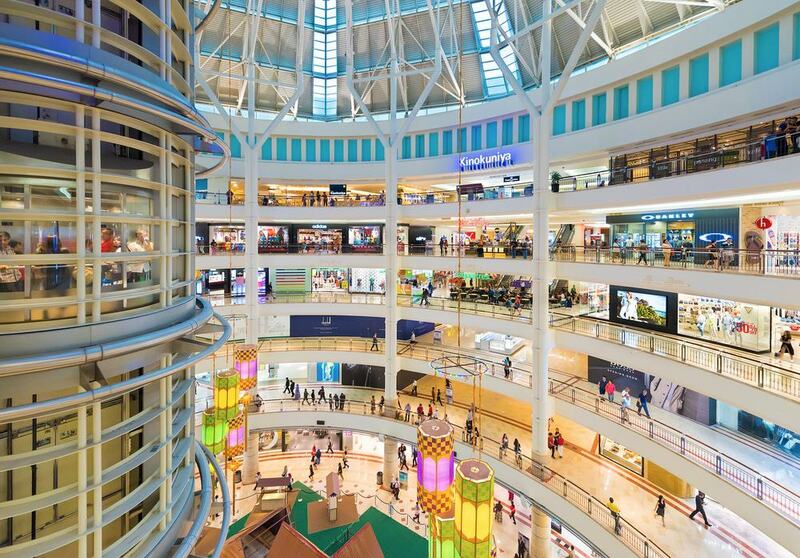 A site within the enormous KLCC complex that includes the mighty PETRONAS Towers, Suria KLCC is a six story shopping center that includes shops, rides, a cinema, a supermarket, and a variety of dining options including food courts. On the top floor of the mall visitors can eat at Rasa food court which features freshly prepared food from all over Malaysia and a table near the windows offers spectacular views over the city. In the basement visitors can also browse the rows of souvenirs and arts and crafts vendors selling their wares from carts. In the days of old Alor Street was famous for being a red light district and a place of dubious repute although it has now cleaned up its act and is now best known as a haven for foodies. Should you visit during the day you will be disappointed as the street vendors only really set up when the sun begins to set and the street changes appearance completely and becomes a hive of culinary activity. The vendors here usually focus on selling one signature dish perfected over the years. Expect the food to be delicious but humble and the dining experience will be on the sidewalk on plastic chairs and tables. 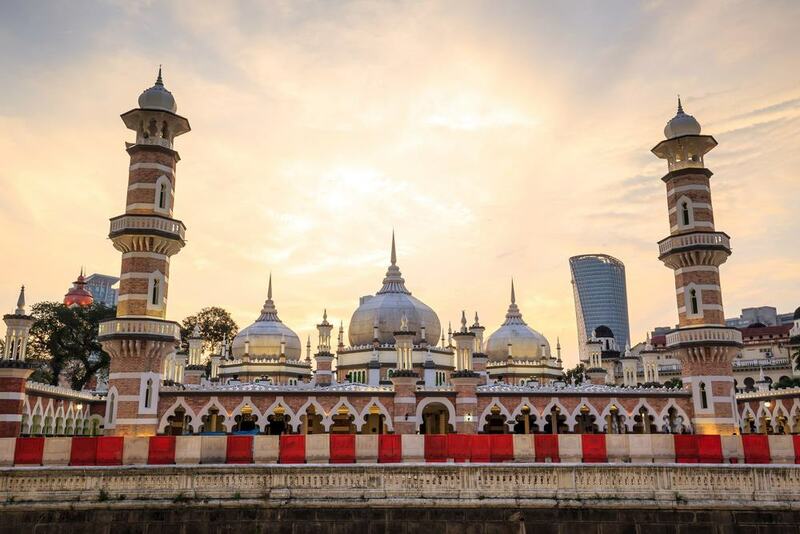 Built in the early 1900s, Jamek Mosque is one of the oldest mosques in Malaysia and is often visited for its Moorish architectural style and for its location, as it sits at the site where the Klang and Gombak rivers meet. As such visitors can tour parts of the mosque (in appropriate dress) and can also take in the stunning views across the waters. For many years this was the primary Muslim place of worship in the city and has a proud history of famous preachers and religious leaders who have attended the mosque. 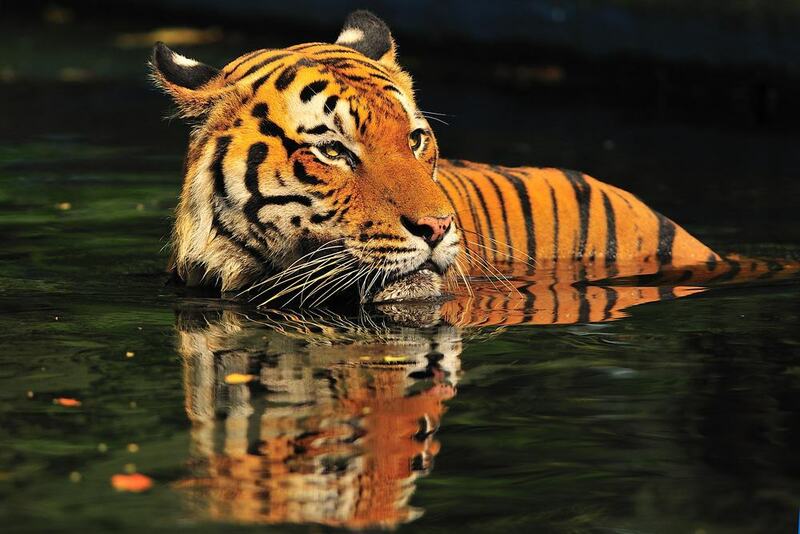 Located to the north-east of Kuala Lumpur, the National Zoo is run by the Malaysian Zoological Society and almost 500 species are housed within. There are a range of exhibits for visitors to enjoy such as a reptile park, an aviary, a lake, and a freshwater aquarium. There are even areas dedicated to insects as well as a huge range of other local flora and fauna. The zoo runs conservation programs and educational activities such as guided tours and interactive exhibits geared towards children and teenagers. There is even a dedicated section called Children’s World that focuses on domestic pets and has a replica farmhouse barn and a play area. 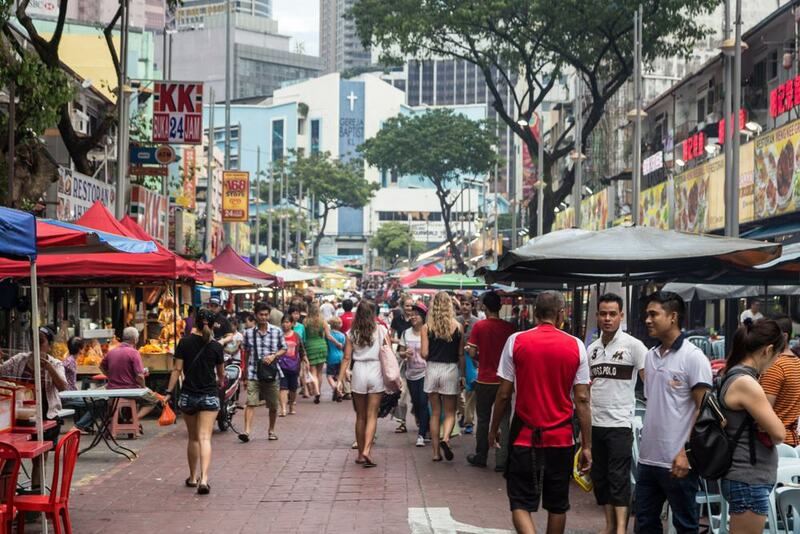 Kuala Lumpur, in addition to Malay and Indian nationals, has a large Chinese population and as such China Town has developed as a predominantly ethnically Chinese area of the city that is also well worth a visit if you are in town for a few days. Located in and around Petaling Street, the area features a market, Chinese food options, and Chinese cultural attractions such as temples. The street food vendors that set up here at night are particularly popular. 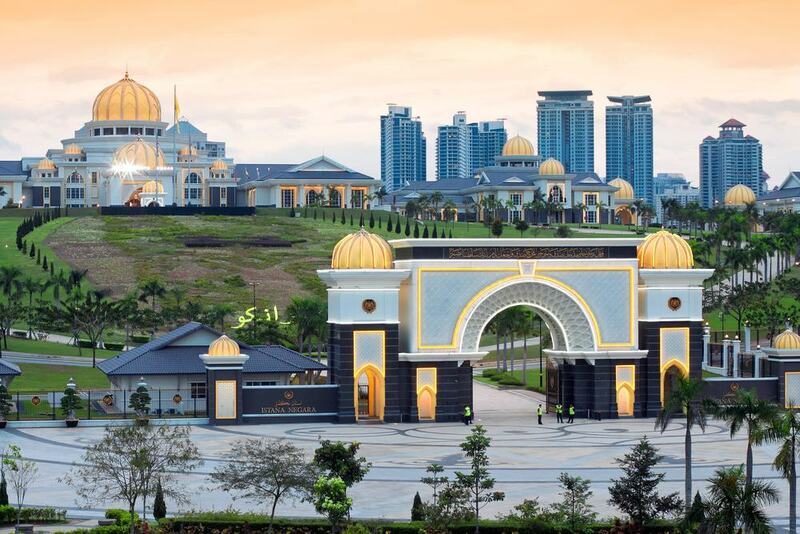 Istana Negara used to be the palace of the former kings of Malaysia before a new palace was erected in 2011 and Istana Negara was designated as a royal museum. Visitors to the palace can learn about royal points of interest and visit some of the different rooms and there are also royal guards stationed at the entrance in both modern and traditional uniform. There is also a changing of the guard ceremony every day for visitors to witness some of Malaysia’s royal and official ceremonial traditions. 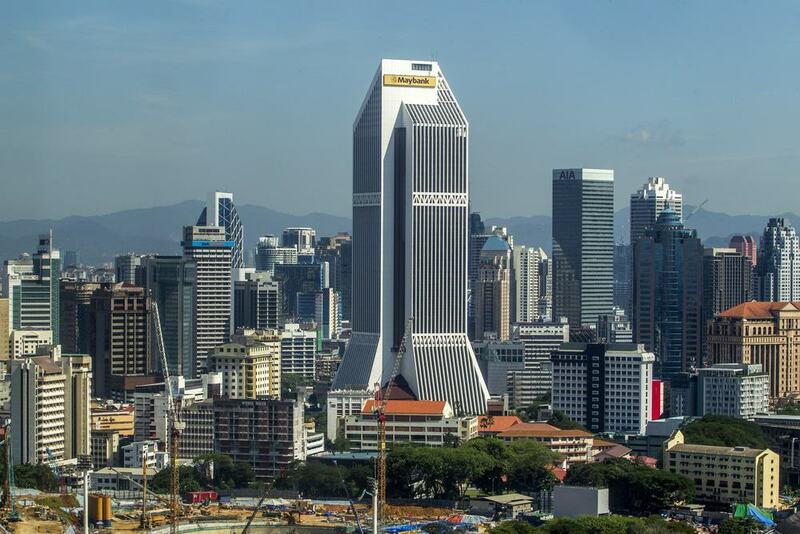 Owned and managed by one of Malaysia’s biggest and best known banks, Maybank, the Maybank Numismatic Museum is now home to the largest money and coin collections in all of Malaysia and is located within the iconic Maybank Tower. The museum has a range of different attractions such as antique examples of coins and banknotes as well as a huge metal sculpture of a ‘money tree’. Visitors can also learn about the history of currency in Malaysia and greater South East Asia. Malaysia’s National Mosque is a truly enormous structure that can accommodate 15,000 worshippers at any given time. 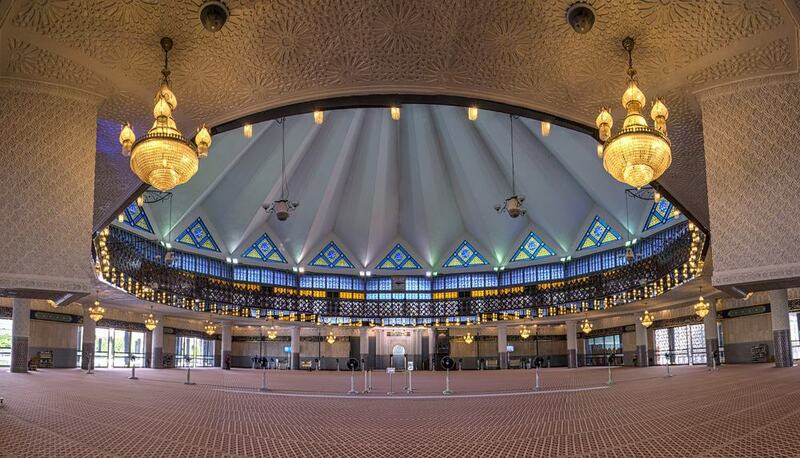 Built in the sixties, the mosque follows principles of Islamic architecture and has as a roof in the shape of a sixteen point star. There is also a strong emphasis on water features such as fountains and reflective pools throughout the mosque complex and visitors can tour the mosque but must wear appropriate dress which is provided to do so. Located outside of Kuala Lumpur in the suburb of Selangor lie the Batu Caves, and visitors can marvel at these limestone cliffs that are dotted with caves and carved cave temples. 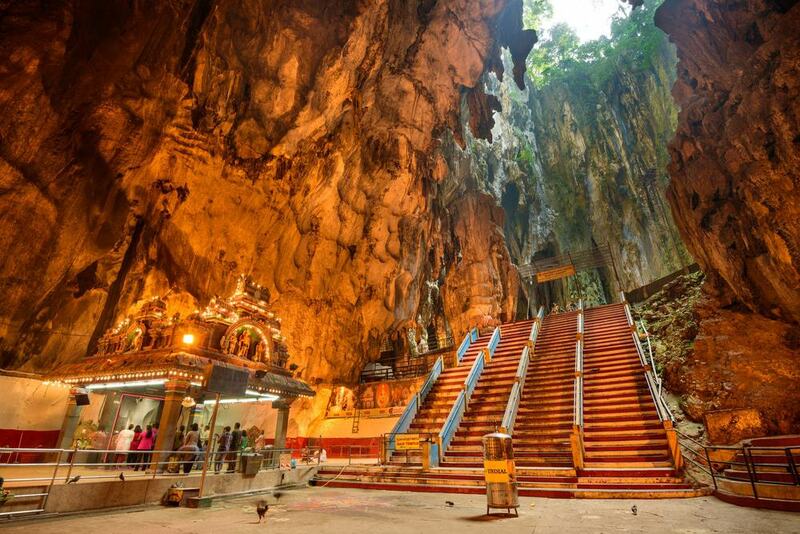 The caves and temples are Hindu shrines and are still considered and important place of pilgrimage for the many Tamil residents of Malaysia. Visitors can visit the caves and also experience the local flora and fauna that include wild monkeys that inhabit the area as well as famous cave-dwelling bats. There are also rock climbing opportunities with over 160 climbing routes in the area and lighter treks for less experienced visitors. 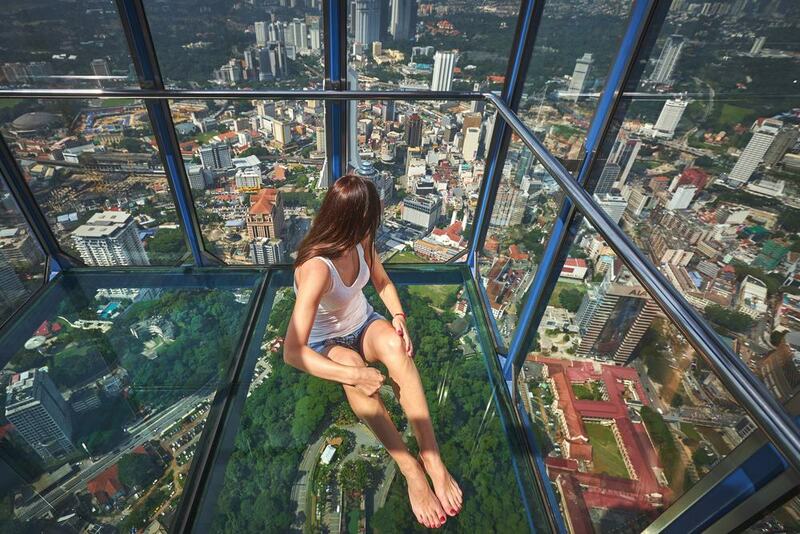 Easily spotted down below from the Petronas Towers Sky Bridge, no trip to KL is complete without a visit to KLCC Park, a specially designed area of Kuala Lumpur that provides the city with some much needed green space. The park stretches over 20 hectares and has jogging and walking trails for visitors wishing to exercise, and there is also a large lake and fountain attraction that features a water show twice daily. There are other water features dotted throughout the area such as ponds, fountains, and waterfalls, and a children’s garden for younger visitors. There is even a mosque within for park for Muslim visitors wishing to worship. 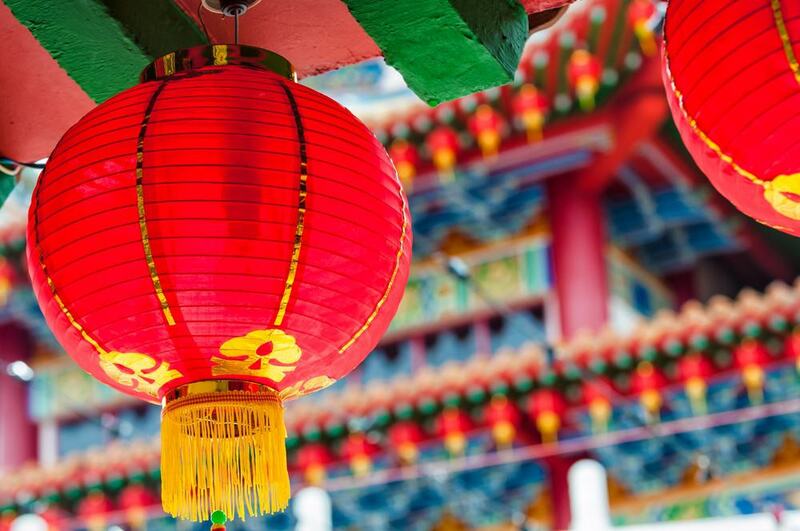 Thean Hou Temple is something of an iconic landmark in the city of Kuala Lumpur due to its original six tier design that makes it instantly recognizable. 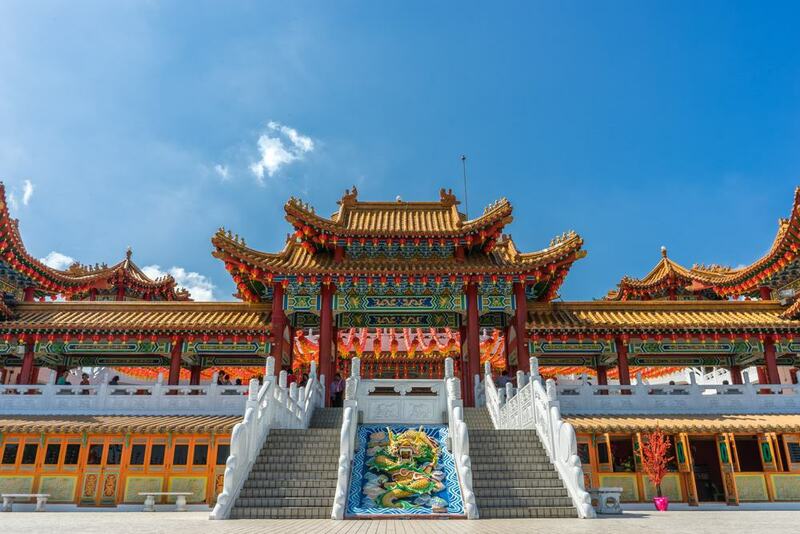 The inside of the temple features Confucian, Tao, and Buddhist decorative pieces and has traditional red pillars to welcome visitors and promote prosperity. Considered one of the most decorative temples in Kuala Lumpur, there are intricate carvings and decorated raised ceilings painted in red and gold. The Golden Triangle is a famous section of Kuala Lumpur that features a range of nightlife, bar, clubs, restaurants, and hotel options. 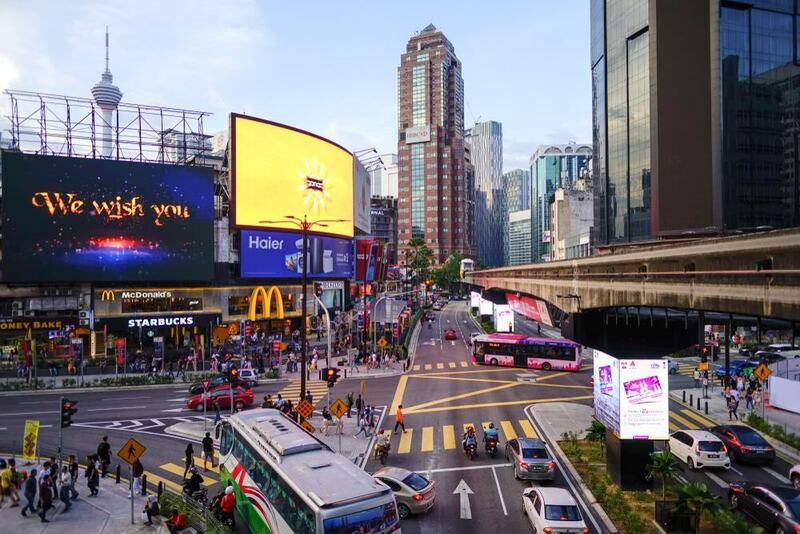 The area spans several streets but the central hub is primarily located in and around Jalan P. Ramlee, where visitors can choose from a wide variety of venues to drink and party until dawn. The area also includes a large shopping center for those looking for some retail therapy or simply to buy some trinkets before heading out for a night on the town.